The new BMW 7 Series models will have lost as much as 286.6 pounds from today’s 7s thanks to the BMW “Carbon Core” body paired with other lightweight materials, BMW said earlier this month. The move indicates that BMW’s experimentation with carbon fiber in the i3 and i8 found the material viable enough to introduce to an existing line. “We transferred the technology from BMW i to the BMW core brand now,” Michael Ahlers of BMW says in a teaser video posted a week ago on YouTube by BMW. The carbon-fiber will be attached to aluminum and ultra-high-strength steel in a “carefully calculated” patchwork body and chassis design, according to BMW and its teaser photos. BMW said the B-pillars were an example of that kind of “hybrid construction”; their carbon-fiber is paired with ultra-high-strength steels for a combination of two light, rigid materials. BMW said the carbon fiber combos contribute strength and stiffness; it’d be interesting to know if repairability or price were also factors — carbon fiber tends to cost more than other lightweighting options to save a pound of mild steel weight. “The configuration of sheet metal elements can be adjusted as required, allowing for a significant reduction in the weight of the body,” BMW said. Ahlers also noted carbon fiber has a benefit besides gas mileage and strength: handling. The mixed materials will be combined by “innovative, weight-minimising bonding technologies,” according to BMW — which will likely include a lot of structural adhesive, we’d bet, along with other impressive joining BMW learned from the i series. See our coverage of a Munro and Associates i3 disassembly presentation for more details. The automaker also patted itself on the back for being out in front of carbon fiber with the i series, which it said yielded technology that will be used in the 7 series. 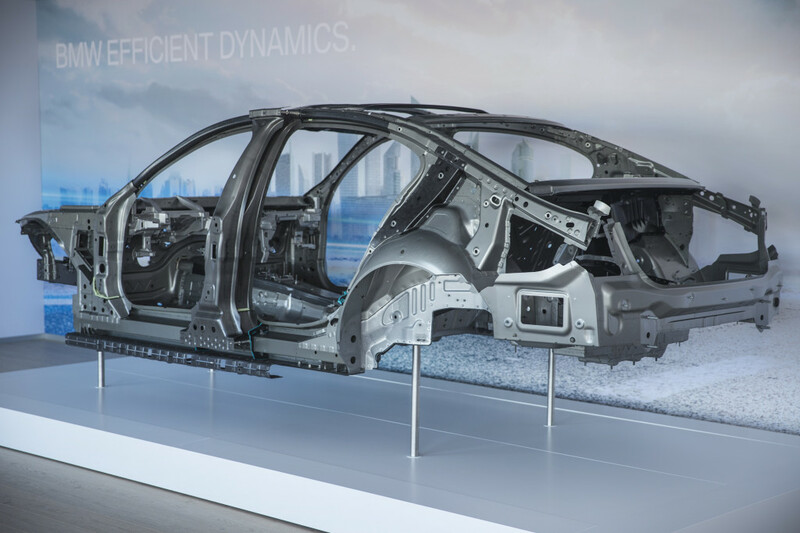 “The next generation of the BMW 7 Series therefore benefits from the BMW Group’s experience and expertise – unequalled by any other carmaker – when it comes to the appropriate use of CFRP in mass-produced vehicles,” BMW said. And the company has figured out some new uses, too. 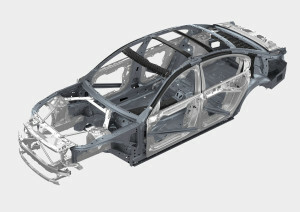 “The new BMW 7 Series is the first car to use industrially manufactured CFRP in its body construction not as a visible material in the outer skin, but in combination with steel, aluminium and plastic,” BMW said. The 7 Series right now isn’t very common; BMW sold less than 10,000 of them last year in the U.S. But you should still care about this move whether you get a lot of Beemers in your shop or not. The automaker’s aggressive stance on carbon fiber and demonstration of “middle ground” carbon fiber usage here could cause other manufacturers to consider the material and take it mainstream, particularly with Ford taking a closer look at the substance.